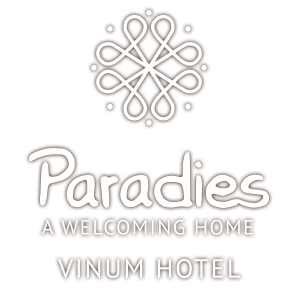 10 years of Hotel Paradies, which we want to celebrate together with you. 10 years, we can look full of pride and have always directed our gaze forward. Here, the Hotel Paradise is far more than just a vacation place or a home. So we want to give a voice to people who are closest to our home. We want to take a look behind the scenes. Therefore, long-term employees, loyal companions and the Pircher family have come together to give the house a voice, and especially to thank you for your years of loyalty! The paradise has seen many people come and go. It went through bad and good times. Many hours were busy hands at work, quick feet in motion and brains on smoke. Especially the zest of Klaus Pircher, make permanent alterations, always keeps us as a family and team busy. But the most important thing has always remained the same: The attention to detail and focus on the essential. Whether the hotel owner or guest, maid or dishwasher – from hundreds of prospects, the picture of paradise is composed. His own personal view has everyone who went in and out here for longer. Everyone has his special memory that makes up the paradise for him. But mostly this are precious souvenirs that carry our regulars in there self’s. in the laundry. Always sweeps her sharp eye on the various premises. So a paradise without our Helene would be unthinkable. with warmth and sincerity. Guests and staff equally appreciated, she is an indispensable part of the paradise. 1. Lay the napkin face-down in front of you. Fold it half and orient the open end towards you. 2. Fold the napkin like an accordion starting at either narrow end. 3. Fold the napkin in half with the accordion folds on the outside. 4. Grasp the unfolded corners where they meet on the open end and fold them in diagonally, tucking them under the accordion folds. Leave one end with 2-3 inches of unfolded napkin to support the standing fan. 5. Open it and stand it up. A beautiful fan for a beautiful dinner. Arrange the napkin and ready is the fan. Who would not be a cat in Hotel Paradise? Whether it is for a caress, a fun game or just to let open the door, so shortly also our guests have to be servants. But our kittens thank you with little attentions and give everyone a moment of peace and harmony. Preparation: Soak the gelatin in cold water. Combine the icing sugar and the finely passed strawberry mix in a bowl. The amounts expressed gelatine sheets need to be melted in a double boiler and than added, stirring to the strawberry cream. Whisk the cream until stiff and carefully fold under the strawberry cream. Provided in any glasses, which were first rinsed with cold water. Cool it in the fridge. Serve According to desire and pleasure with pineapple sauce or some other cream. I hope you enjoy the cooking and good luck! ULTIMATELY THE HOTEL PARADISE TODAY IS WHAT WE TOGETHER MADE OF IT. People who were so loyal over the years to the house and stand as a tower of strength. People who always have remained faithful to the Paradies, guests like employees alike, which have become much more over the years, as a guest and staff: They are friends and part of the Pircher family. A family that has made the hotel so much more and it appears to everyone who enters here and wants to take it. So what still remains great to say?